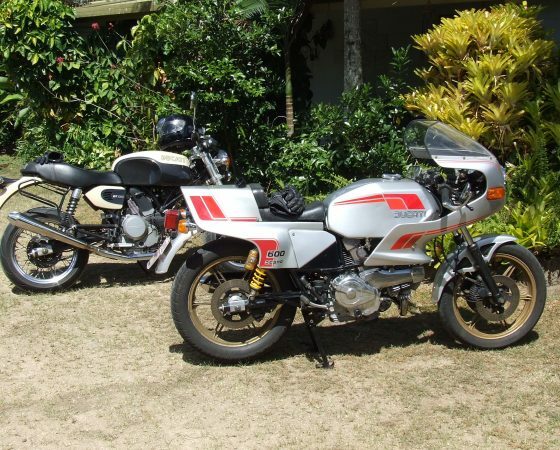 Our Motorcycle Hire (and Repair) business is on the Atherton Tablelands, or as some call it, the Cairns Highlands, an ideal area for day riding or touring. 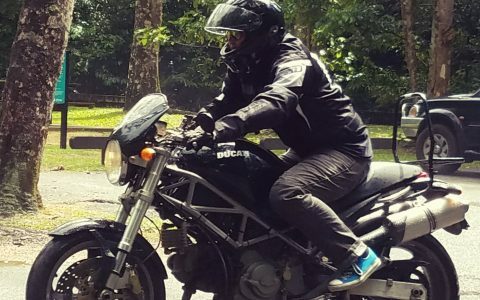 Hiring a Ducati for a day or a few days to tour the area is an excellent way to experience the wonder of the tropical Tablelands’ natural beauty. Enjoy rain forests, lakes, rivers, streams, waterfalls and lookouts. The roads are generally in excellent condition and we can show you many great sealed ‘back roads’ which link the places to see and visit … should you wish to enjoy a coffee with a vista, a bio-dynamic lunch, or a pint at a local pub! 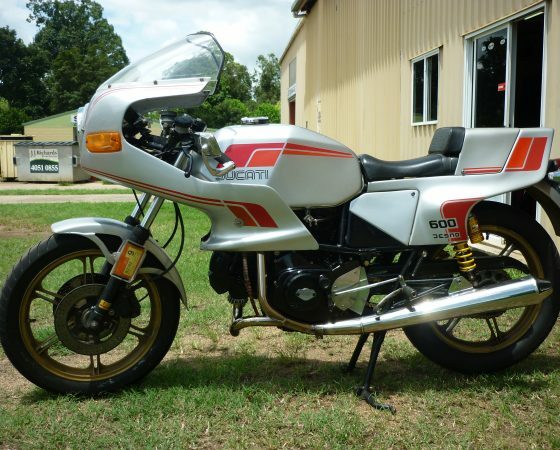 It is available to hire by only the most experienced rider. Riding the curves and bends on the Cook Highway from Cairns to Port Douglas is such a treat! Much of the road is right on the coast where the rainforest meets the sea. The beaches are invitingly beautiful, though unless there is a ‘stinger net’ like the one at Ellis Beach, swimming is not recommended from November to May. The 5-6 months from June to end October are usually the best months for riding, sight seeing, swimming and walking the beach. 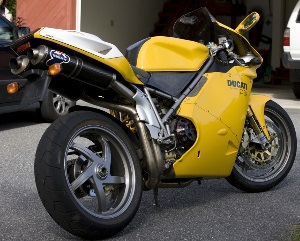 Although when you have a Ducati to ride it’s tempting to make the stops short and the rides long! 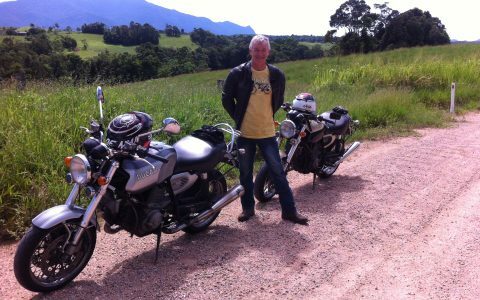 Riding in Far North Queensland is an experience you’ll always remember – the stunningly scenic region of the Atherton Tablelands has main roads and the lesser roads (also great riding) linking all the amazing places to see / visit / stay: from historic towns to scenic lookouts, lakes and waterfalls to farmland and forests. 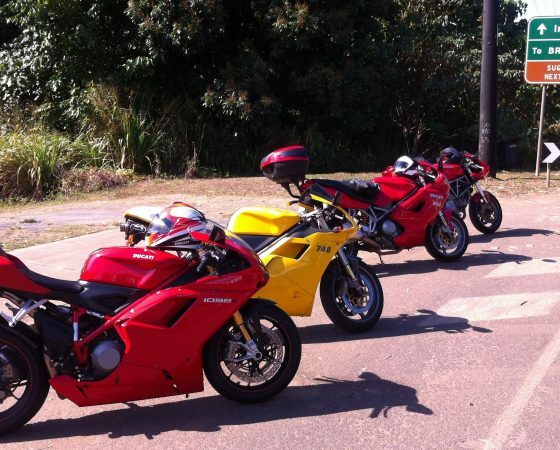 the long and winding roads of the Atherton Tablelands are Ducati heaven. 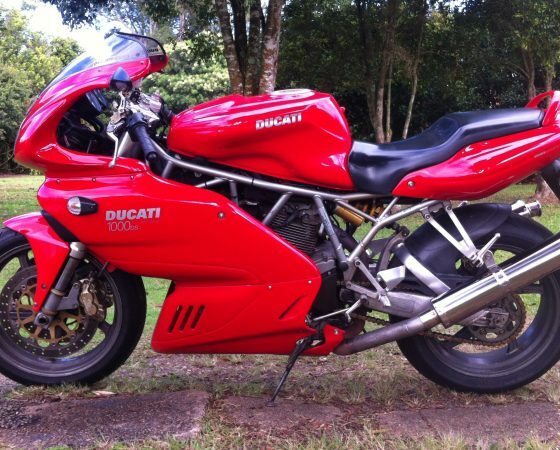 From Malanda, where you’ll begin your ride to all directions you’ll enjoy twisties, curves, sweepers and bends. Spectacular views while you’re riding, majestic vistas to take in whilst you pause … the roads are excellent for all riders. 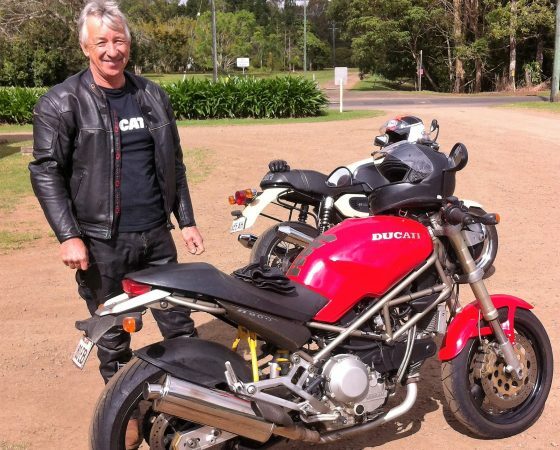 From Lammins Hill, near Bartle Frere, Queensland’s highest mountain (1622 metres), to Gentle Annie near Millaa Millaa, to Windy Hill near Ravenshoe, Queensland’s highest town, to Halloran’s Hill Atherton, to the top of the Gillies – the long and winding roads are a motorcycle rider’s dream. And you’ll enjoy a rest to refresh at any one of the many cafes, pubs or picnic areas – many of which have another view of even more long and winding roads yet to ride. 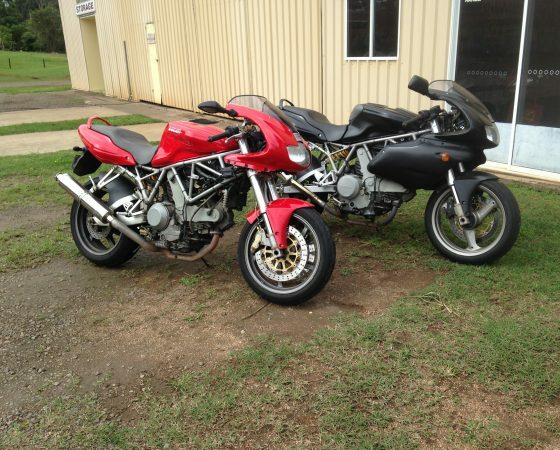 Welcome to 2 Wheels North, our Ducati Motorcycle Hire and Repair business located in Far North Queensland. 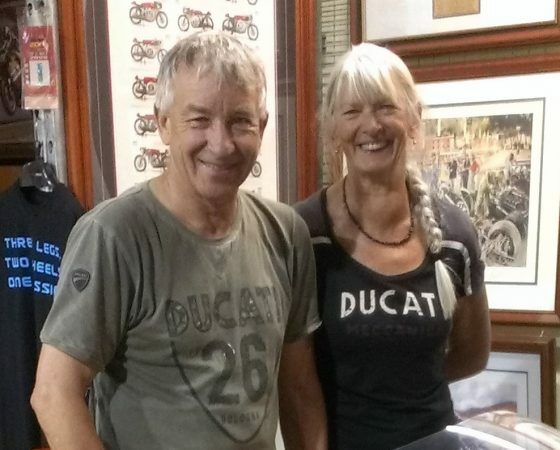 We are Mike and Liz Pulman and we live, work and ride from our home base on the outskirts of the small township of Malanda on the beautiful Atherton Tablelands, just over an hour’s drive or ride from Cairns. 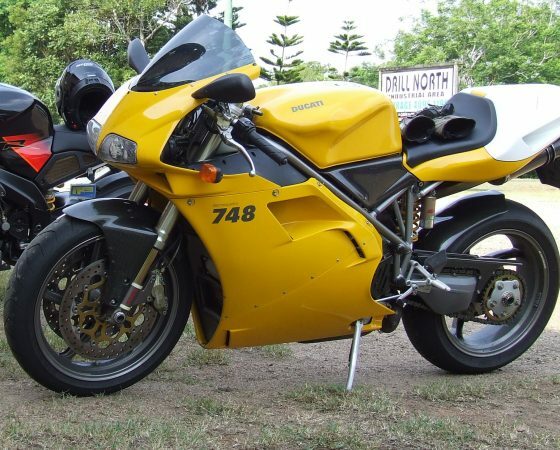 Far North Queensland is a tropical paradise of motorcycle roads! Come and look for yourself! 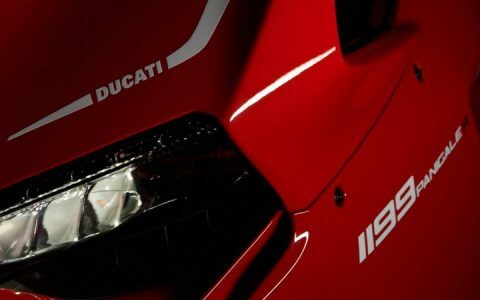 Better still, contact us to discuss the rental of a Ducati and all the amazing roads and destinations you may like to experience. 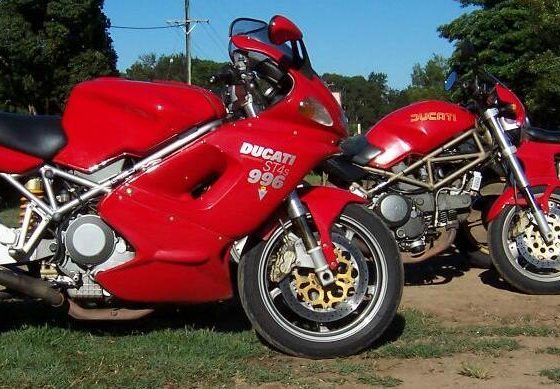 We have been riding Ducatis since 1995. Our collection is growing, and along with it, our passion to share our Italian stallions with others aside from our friends and family. 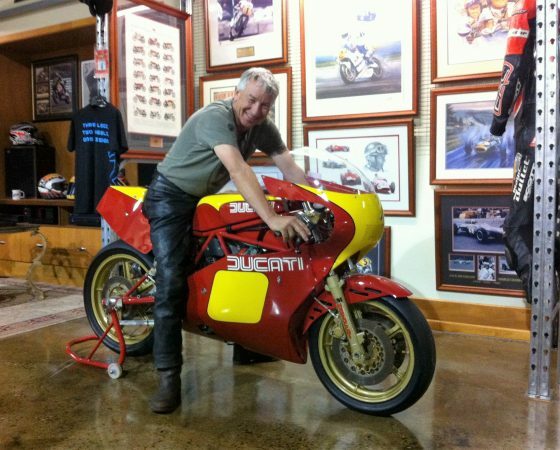 Deciding to set up a Ducati motorcycle hire business started as a dream years ago, and steadily we have purchased and procured 26 of them, though some are still in ‘project stage’ ….. waiting for Mike to strip, repair, reassemble to add to the hire fleet. Check out the current available-to-hire models below. 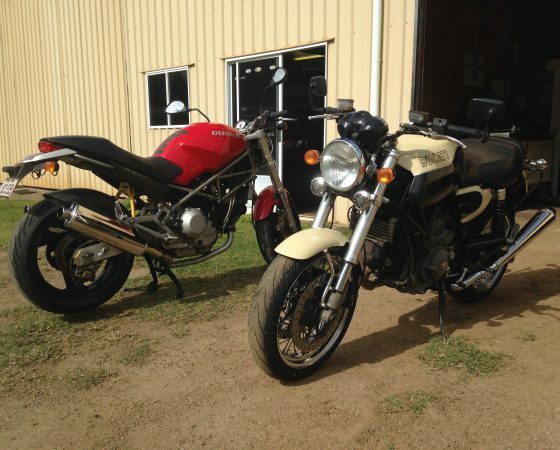 Ideal for a couple who wish to ride for one day or many days. 2 side panniers for personal belongings. Ideal for single rider though very comfortable for 2-up. One of the first Monsters exported to Australia. 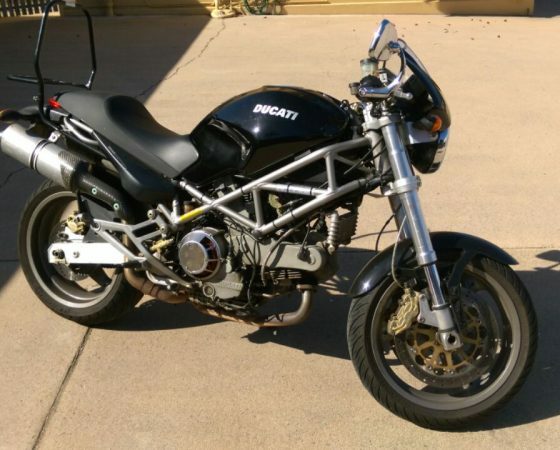 A great ride for one or 2-up. 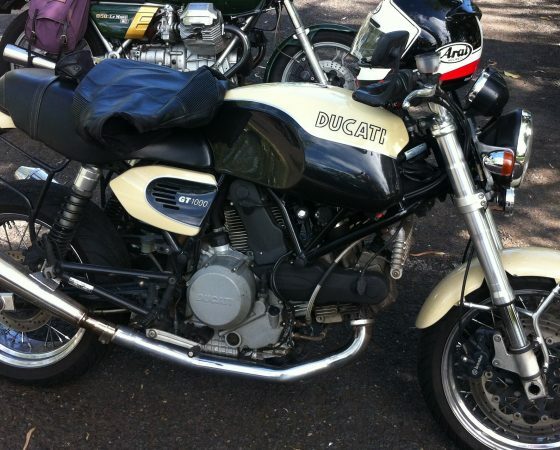 Liz’s 2nd Ducati, ridden by many and still a great ride especially on the ranges. A great day ride for one or 2-up. 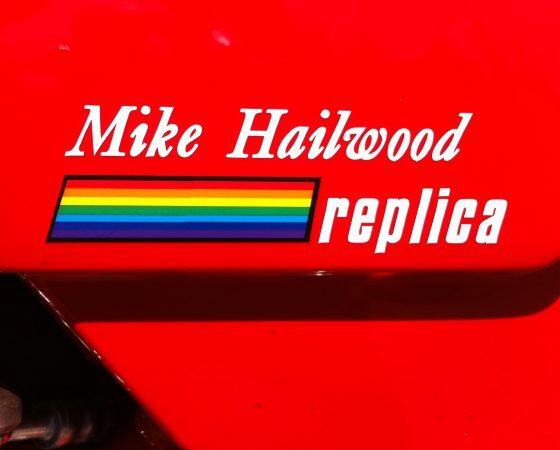 One of the most popular models. 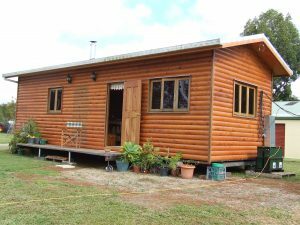 Bed and breakfast accommodation is available with Mike and Liz in our on site cabin where a couple can have their own space in a very comfortable cosy all-wood cabin for one or more nights. If you’re touring for a few days, come back at the end of each exciting day to refresh, relax and enjoy this solar-powered cabin, which has fresh rainwater to shower in, a potbelly fireplace to warm you, and gas stove top and oven to prepare yourselves a delicious meal. Our vegie garden may even have an abundance of fresh leaves, veges or fruit to share! Our comfortable home also has 3 spare bedrooms with a bathroom. Choose either a queen, double or single (2 in one) room. The choice of where to ride on an organised tour is many and varied. 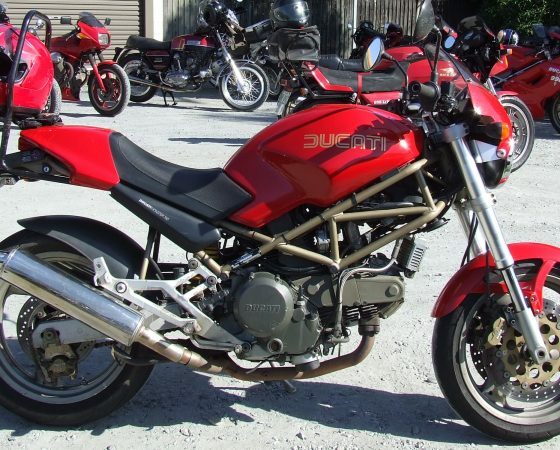 Once you decide to rent one of our Ducatis, you’ll also consider and plan how much time you have to tour, and weather dependent, where to tour. Our organised tours can be tailored to suit you and the circumstances at the time. 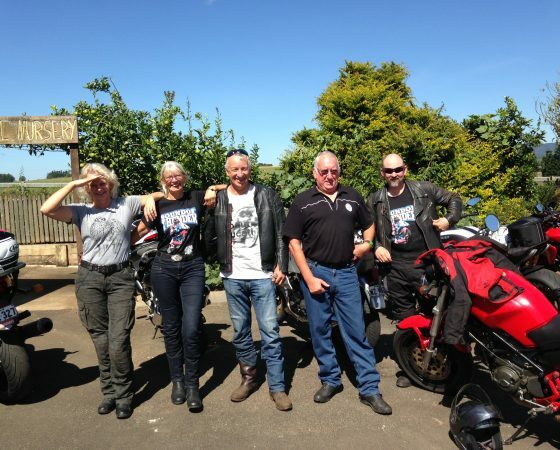 Broadly speaking, the tours can be designed to include coastal, rainforest, farmland and ‘dry country’ riding. 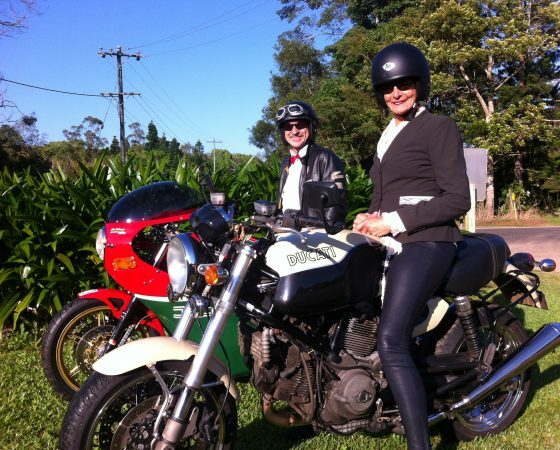 Our favourite “riding on the coast” is the picturesque winding road from Cairns to Port Douglas, and return (the road North is not the same as the ride South!). Where the rainforest truly meets the sea – Daintree / Cape Tribulation is an excellent ride from the Tablelands, with coastal and rainforest riding. 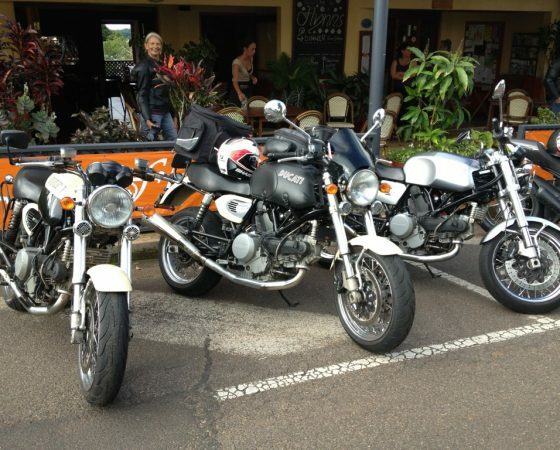 Riding on the Atherton Tablelands can mean a ‘day ride’ by cruising for example, the ‘Waterfall circuit’, the Kennedy highway to Ravenshoe, the Atherton-Herberton road, the agricultural / farmland circuits, and riding to the Lake Eacham, Lake Barrine, Lake Tinaroo, with many roads taking you through the magnificent rainforests – the circuits are almost boundless and all are exciting scenic riding. Slightly to the south west of the Tablelands, you can take a tour from Malanda through Ravenshoe, the highest town in Queensland, to Innot Hot Springs and enjoy a soak in natural hot mineral water, and then even further to Undarra Caves where the overnight outback accommodation choices include railway carriages! The northern Atherton Tablelands, with towns of Mareeba and Dimbulah, ride through former tobacco growing country which now boasts abundant orchards of mangoes and avocados, fields of pumpkins and acres of sugar cane. Tours designed to include the superb winding roads from the coast to the Great Dividing Range include the Palmerston Highway to the south, the Gillies highway in the middle, the Kuranda highway near Cairns North, and the Rex range in the North. These can be covered on one long day riding, or better still, allow an overnight to return to base ‘the long way’ round. The circuit from Malanda to Cooktown return also deserves at least a night away. All rides have fantastic stops to ‘lookout’, to eat, drink and refresh, and stay …. your main aim is to ride though the walks / climbs / swims / balloon rides / train rides are all here for the experiencing. We will do our best to share some of the experiences and photographs from our various tours here for you to explore. 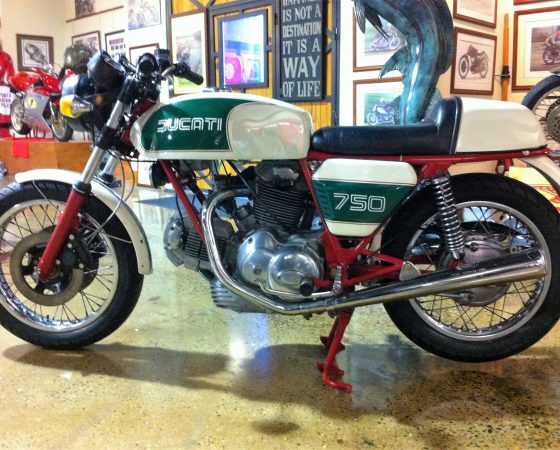 Check out Kevin’s story “Ride North”…..